You can obtain either a general or a specific power of attorney. 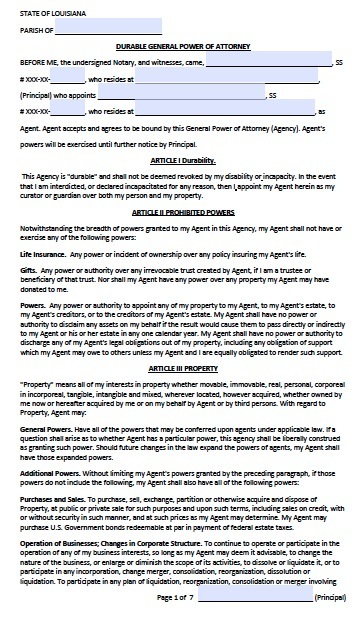 The general power gives the agent vast authority over your assets. This includes the abilities to buy and sell property on your behalf, continue in the operation of any of your business interests, such as increasing the scope of its activities or even liquidating it, to borrow and lend money, improve property, participate in litigation, and many other activities. Thus, you should not be too careful in choosing an agent because he or she would have a great deal of power over your property.